Digital video formats could be very much confusing these days. You can play one video just fine, and the next one just won’t work. Or you can play the same video on one device, but it just does not work on another device. Simply handling digital formats is confusing enough, not to mention converting formats across platforms. I believe most people like me have experienced the frustration of burning a video to DVD only to find that it won’t play on a DVD player. Luckily, I have found a way to burn WMV to DVD with Nero, and I would like to share the method with you today. Part 2: How to burn WMV to DVD using Leawo DVD Creator. Part 3: The differences between the two products. 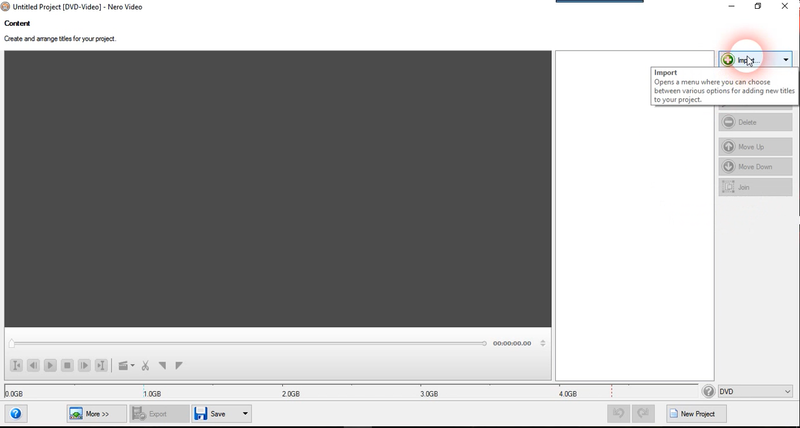 First let’s see how to burn WMV to DVD using Nero in Windows. Most Windows devices has DVD drive built in. If your PC doesn’t, you can buy an external DVD drive and connect it to your PC through a USB cable. Insert your blank DVD into the drive, when the system detects it, then you are good to get started. Step 1: Download and install Nero Burning Rom on your PC. 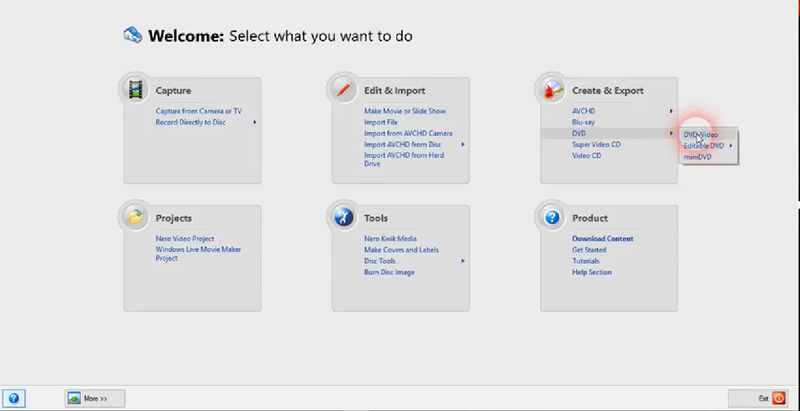 Step 3: Now you can import your WMV video by clicking “Import”, then hit “Next”. Step 4: Now you can set a menu for your DVD if you want to. When you are done, click “Next” again. Step 5: Then you can set your DVD format and then start to burn DVD with Nero. When speaking to DVD burning programs, Nero may be popular, but it is not the only program that can do the job. Nero has been out for more that a decade, and the user interface is kind of out dated. 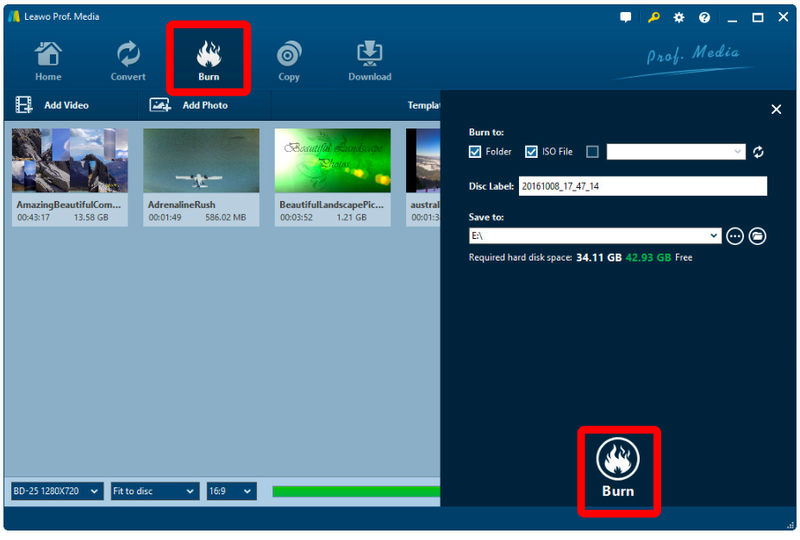 As one of the best Nero alternatives, there is another DVD burning program called Leawo DVD Creator, which is just as efficient as Nero, but with more practical functions and better user interface. This program also has both Windows and Mac version, and both versions is easy to use. 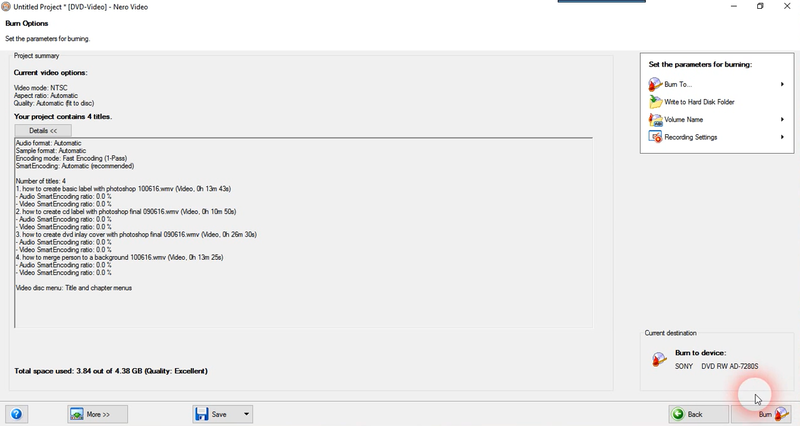 Here I’ll take the Windows version as an example to show you how to burn WMV to DVD using Leawo DVD Creator. a. Click the “Add Video” button to load videos and images. If you want to add disc menu to output DVD movie, you could choose from the right sidebar. Leawo DVD Creator offers you multiple preset disc menu templates in different themes like Standard, Business, Education, Childhood, Holiday, etc. 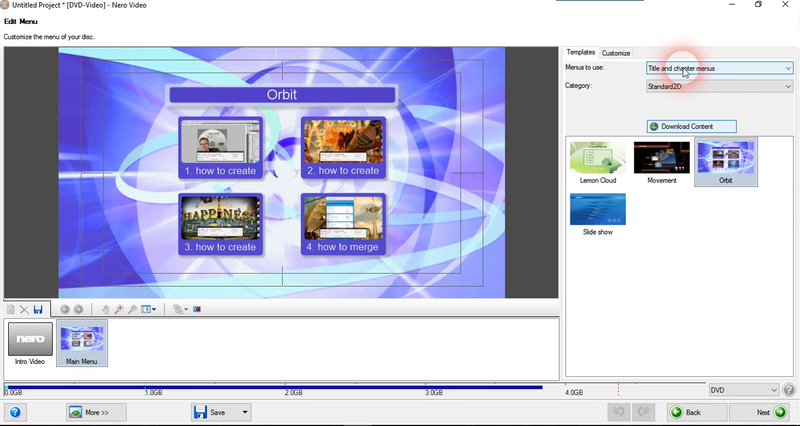 Also, it allows you to DIY disc menu with your own images and audios. You could get instant preview of the menu you’ve selected. If you want no menu, just select “No Menu” option on the right sidebar after you load source videos. Step 3. DVD burning settings. Today we learned both how to burn WMV to DVD with Nero and how to burn WMV to DVD with Leawo DVD Creator. But what’s the difference between the two programs? Which one exactly should we choose? Well, the differences between the two programs are quite obvious. First, about the complicity of the program itself, for the same functions, Leawo DVD Creator is much easier to operate than Nero, and the user interface of Leawo DVD Creator is cleaner and prettier than Nero. Second, you can easily make beautiful and personalized menu for your DVD in Leawo DVD Creator, and the same function is hard to find in Nero. Third, the price, Nero is much higher than Leawo DVD Creator in price. What’s more, Nero only provides Windows version of the program, while Leawo DVD Creator has both Windows and Mac version. However, Nero has a lot of loyal fans and has a good reputation in the industry, while as a new player, Leawo doesn’t. Knowing all these comparisons, if you need to burn WMV to DVD, I believe the choice is yours.